Geshe Lobsang Tenzin Negi, PhD, senior lecturer in the Department of Religion at Emory, and Charles Raison, MD, in the Department of Psychiatry and Behavioral Sciences, Emory School of Medicine, have been associates, colleagues and friends whose relationship has grown as a result of their participation in the Tibetan Studies Program at Emory. Together they have served for the last several years as co-directors of the Emory Collaborative for Contemplative Studies. Negi and Raison recently collaborated on a study at Emory looking at the practice of compassion meditation and its effect of on inflammatory responses when people are stressed. The study required one group of college students to attend compassion meditation class sessions, while a control group attended classes on topics relevant to the mental and physical health of college students. Negi developed and taught the compassion meditation program that was used in the study based on a thousand-year-old Tibetan Buddhist mind-training practice called â€œlojongâ€ in Tibetan. Raison and his team of researchers tested the participants and analyzed the data. The study, which has been published in two articles in the medical journal Psychoneuroendocrinology in 2009, succeeded in showing a strong relationship between time spent practicing meditation and reductions in inflammation and emotional distress in response to psychological stress. The success of this initial study has led the pair to embark on an expanded protocol for adults called the Compassion and Attention Longitudinal Meditation study (CALM). The CALM study will compare compassion meditation with two other interventions â€“ mindfulness training and a series of health-related lectures. The outcome of the CALM study, combined with the data from the initial meditation study, will help neuroscientists to further expand the awareness of how mind and body are connected, and the power of the mind to effect both illness and health. 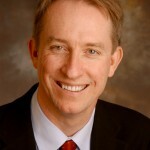 Raison is clinical director of the Emory Mind-Body Program, and director of the Behavioral Immunology Clinic at Emory’s Department of Psychiatry and Behavioral Sciences. He specializes in scientific studies that show how stress can have a negative impact on the bodyâ€™s immune system. Negi earned the highest degree of learning in Tibetan Buddhism, the degree of Geshe Lharampa, from Drepung Loseling Monastery, and received his PhD from Emory’s Graduate Institute for the Liberal Arts in 1999. 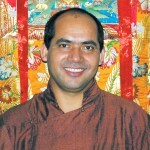 In addition to teaching at Emory, he serves as spiritual director of Drepung Loseling Monastery, Inc., which has been affiliated with Emory since 1998 and which serves as the North American seat for Drepung Loseling Monastery, one of the largest Tibetan Buddhist monastic centers in exile in India.